The ordering is complete and we are pleased to be able to tell you all that we’ll have 31 breweries represented at Bracknell Ale & Cider Festival 2017 supplying over 50 real ales for you to enjoy. As well as three breweries debuting at the festival including Stardust in White Waltham, Little London in Tadley and Burton Town in the East Midlands we’ll have beer from local breweries like Siren Craft, Binghams and Windsor & Eton. Elusive Brewing which won the beer of the festival last year with it’s Starship Fleet will be represented along with perennial favourtie Captain B – the spiced rum ale from Irving & Co in Portsmouth. We have tried where possible to order in breweries specials – one’s that might only be available for a short time and we have tried as much as possible to ensure the line up is different from last year. You can see the full list of all 31 breweries here. 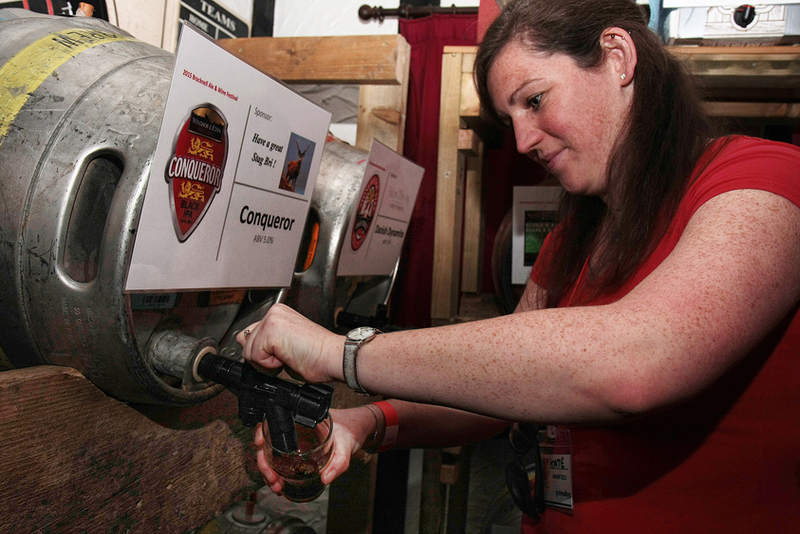 All our beers are looking for sponsors – find out more here. Tickets for our event are on sale in advance for £6 adults, £3 over 60s with discount tickets for CAMRA and local sport club members. Buy them online now here.